There are currently no Mankato West notable alumni listed. 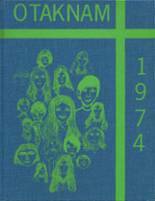 Be the first to add an MWHS famous alumni. This section is to remember Mankato West High alumni who have passed away. 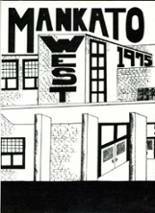 This site has been created for the former students of Mankato West High located in Mankato, Minnesota. If you are a Mankato West alumn, we encourage you to register and be sure to sign up for the alumni newsletter. We also encourage you to keep up to date on news and reconnect with Mankato West High School alumni. Keith Hegg has someone searching for them. Hayley Sistrunk has someone searching for them. Becky Oliver/koehler has someone searching for them. Jilaine Darkow has someone searching for them. 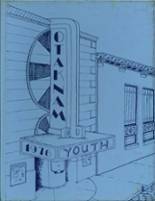 Nancy Madsen added photos to their personal photo gallery. Nancy Madsen registered as a MWHS alumni. Nancy Madsen updated their profile picture. Diana Gish Compart added photos to their personal photo gallery. Diana Gish Compart registered as a MWHS Class of 1979 alumni. Diana Gish Compart updated her profile picture. Nate Dahlvang registered as a MWHS alumni. Nate Dahlvang added photos to their personal photo gallery. Nate Dahlvang updated his profile picture. Jared Kral updated his profile picture. Jared Kral registered as a MWHS Class of 1999 alumni. Jared Kral added photos to their personal photo gallery. Josh Hanson added photos to their personal photo gallery. Josh Hanson registered as a MWHS Class of 1998 alumni.